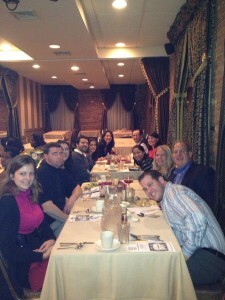 On Saturday December 15th, 2012, Alan H. Schorr & Associates celebrated the holidays with a Murder Mystery at Bistro Romano in Philadelphia. Alison Schorr became the night's lucky winner when she correctly guessed just whodunit. A good time was had by all.